Marketers, are you able to leverage your customer data in real-time to drive improved results? Over the years, marketers have been able to get lots of “actionable” insights from their digital analytics and big data providers, but have been stymied in their ability to take action on the data in a timely manner to drive superior results. Don’t wait! 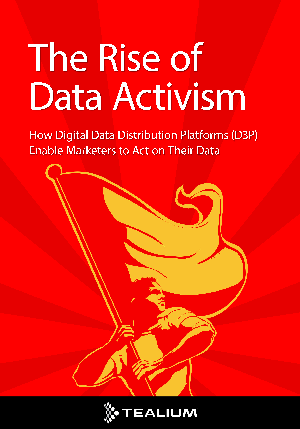 Download “The Rise of Data Activism: How Digital Data Distribution Platforms (D3P) Enable Marketers to Act on Their Data” today and learn how you can start driving increased revenue and conversions for your company.